Do you remember how I talked about how we’re about to get all organized up in here? Go read my post about organizing your house one week at a time, and then come back. I’ll wait. Okay, now that you’re up to speed, let’s get started. I don’t know about you, but I have at least one cupboard, drawer in every room in the house that drives me banananananananas. Somehow there’s always a sneaky little place that ends up stashing all the odds and ends of your life, and never seems to stay organized. Is it just me? Let’s pretend it’s not. We’re starting this organization adventure in the kitchen (see? the enthusiasm!) because the cupboards and drawers in that blessed room can be some of the trickiest to keep organized. Case in point: the lazy-Susan corner cupboard in my kitchen. It’s lodged between the kitchen sink and stove, a neat use of space that has been a mess since the minute we bought the house. It’s just so oddly shaped, and the most random junk ends up in that cupboard, making it a stressful place to store things. That’s for real, guys, stressful places in the house. We’re working on eliminating that so your brain can be clear of clutter as well, and you can have more energy / brain power for things that matter. 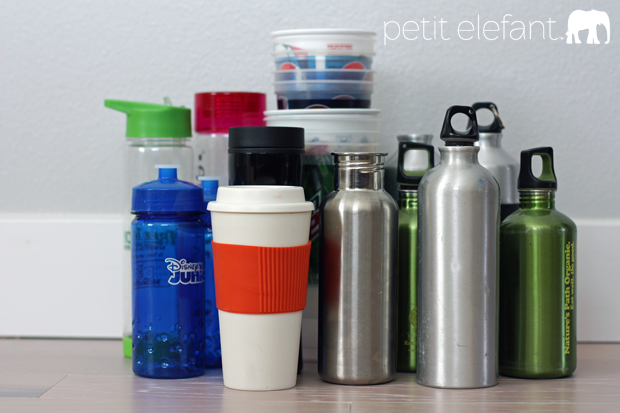 In the case of this corner cupboard, pulling out ‘everything I’ve got’ was approximately 1 million plastic water bottles and an assortment of reusable coffee cups, as well as my mini and not-so-mini Cuisinart. Sort. Sort. And then sort one more time. Get super honest with yourself here, and make the sorting hurt a little bit. 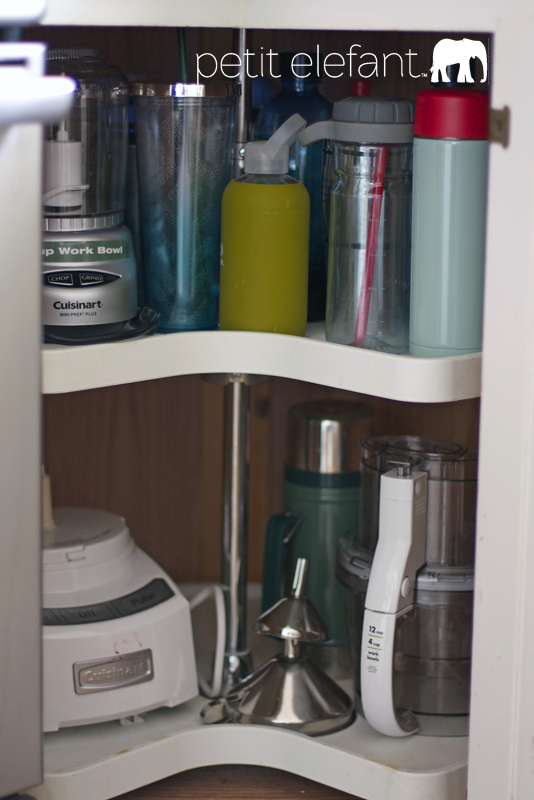 You want to end up with a clean cupboard, with the absolute minimum stuff you need to survive. I think of it like this: if you were picking up and moving your entire house to a different country, what would you pay to ship to the new house? 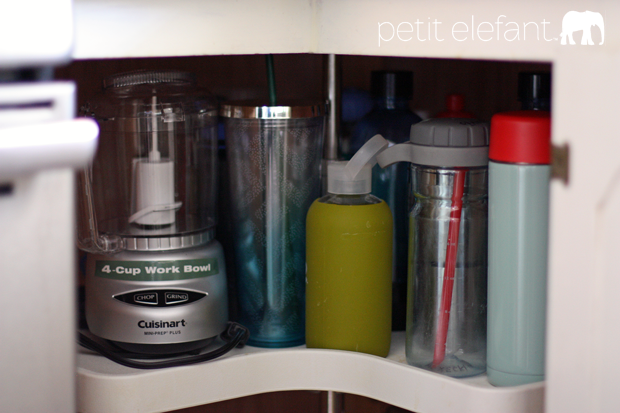 Vacuum, clean, disinfect, and wipe down the newly vacated cupboard. Let it properly air out while you look at the space and think about the best way to put everything you’re planning to keep back inside. This is the easiest and most satisfying step (well, except for Step 5, that’s a pretty good one). Put your stuff back whatever way makes you happiest. I’m a little OCD *cough, cough*, so I tend to organize by purpose, color, etc. 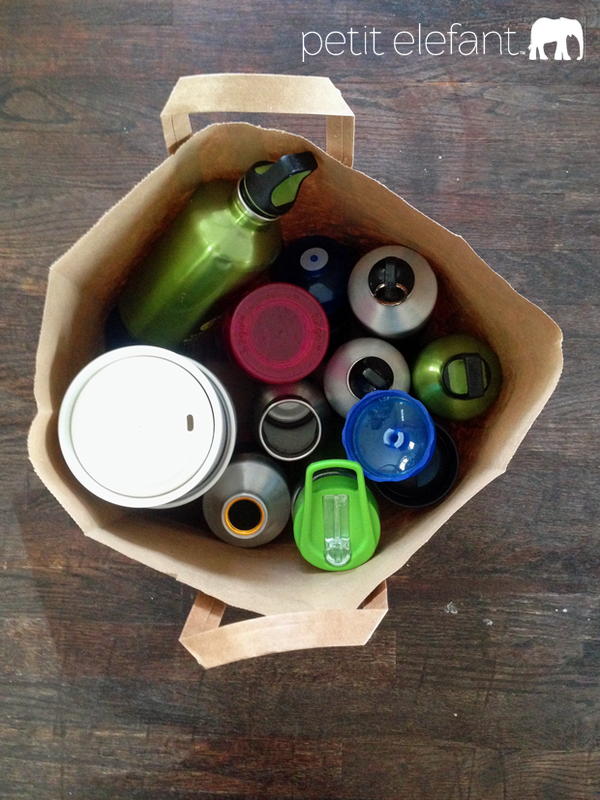 In this case I organized the water bottles by color / purpose, then the travel coffee mugs, then the Cuisinart, small and large. Now you get to toss! I save anything that could possibly be reused by another loving home and put it in a recycled paper bag in the house donation pile to go to the thrift store. Anything that doesn’t make it there goes in the recycle bin. If there’s something that can’t make either of those piles’ dreams come true, I toss. It’s a wonderful feeling. BOOM! You’ve just reorganized and cleaned out an entire cupboard. This project took me about 15 minutes, which is less than the total time it takes to watch the commercials on The Mindy Project. And if you want to organize a cupboard in-between hilarious exchanges with Dr. Castellano and Dr. Mindy Lahiri, be my guest. Whatever works for you. What cupboard are you tackling first? It’s the one with all the random straws, right? I knew it! I’ve been working on organizing my apartment (it’s tiny and I have too much stuff). I thought I had most of it under control, but reading this made me realize not one but TWO places in the kitchen I need to tackle during lunch. And it’s not that big of a kitchen. Womp.